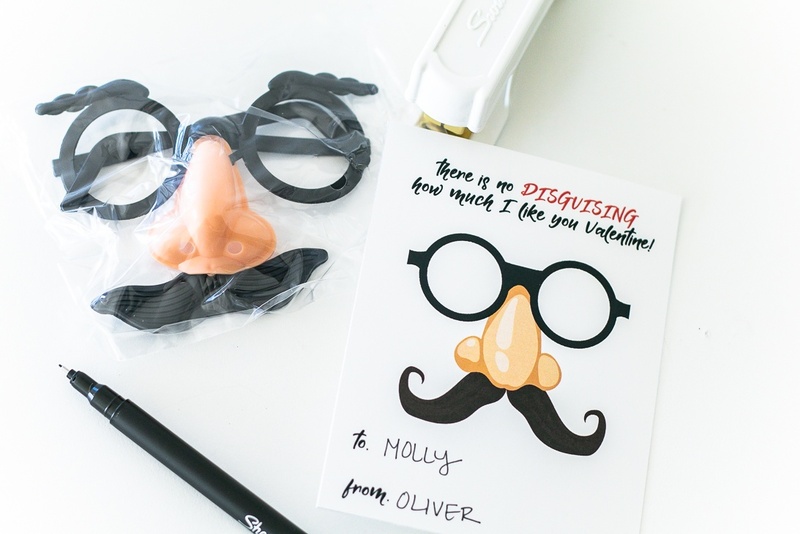 Give these silly gag gift Disguise Valentine cards to your kids classroom for a non candy valentine the kids will absolutely LOVE! Heehee! These little glasses, noses and mustaches just remind me of those silly Pink Panther type shows. Kids love to put them on and giggle themselves silly. 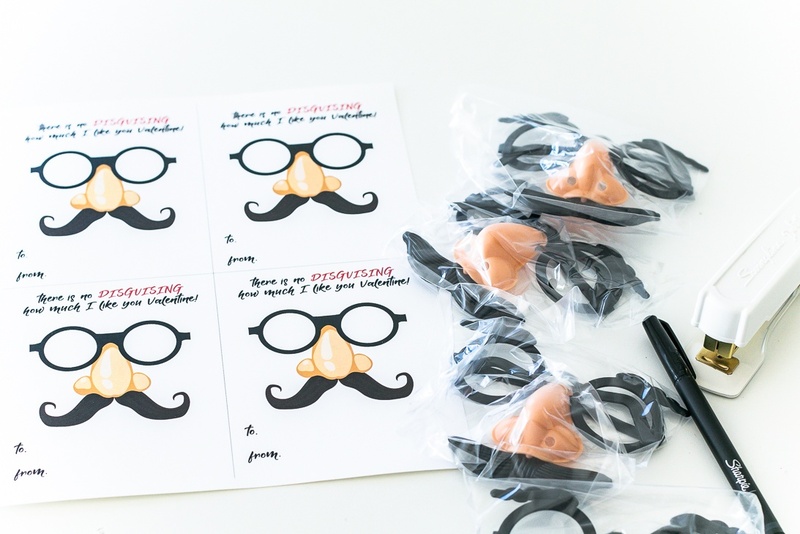 I found a big bag of these kid disguise glasses at Oriental Trading, for super inexpensive! 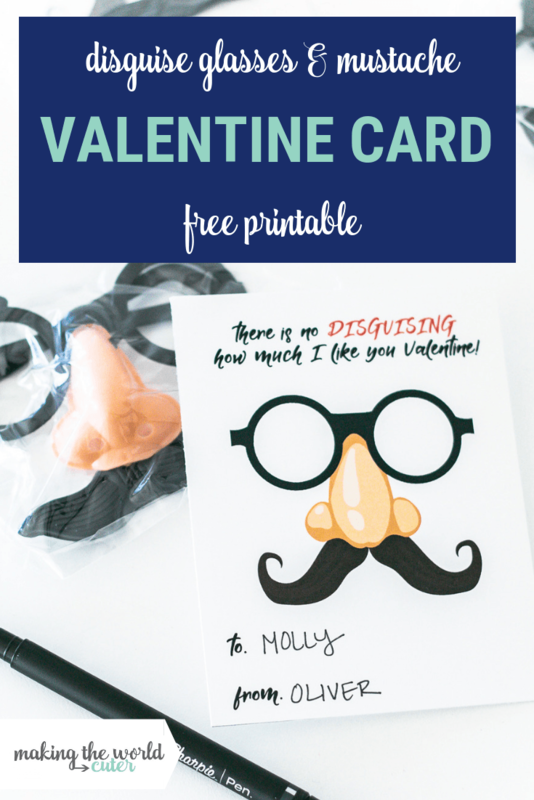 Pair with my little printable valentine card and you’ll have a classroom full of little spies and comedians! 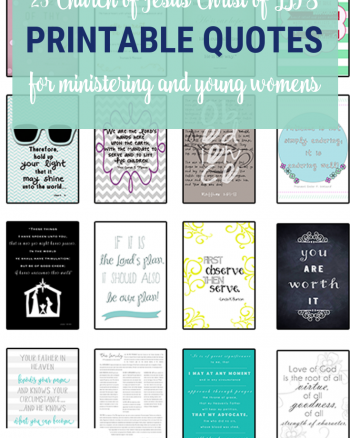 These couldn’t be easier to put together! Just cut out, write out who they are for and who they are from and staple the bag to the card! 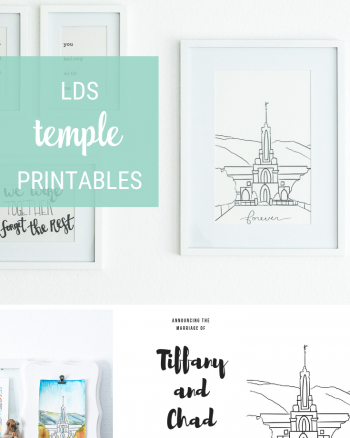 I love that these are individually wrapped, makes giving them so easy! If you like these, you’ll love all the other cute Valentine punny ideas here on Making the World Cuter.